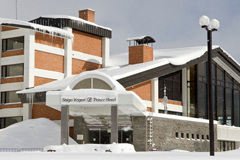 Include 5 nights accommodation, 6 day 22 ski fields lift pass and Daily breakfast! Kick off ! 2020 early Bird deal !! we give you powder, skiing and Japan at its very best! You couldn't have a bad time if you tried. Without a doubt Japan has the Best Powder in the World. If powder is what you're looking for then it's guaranteed that Japan is the place to be for your ski holiday abroad. With Long Seasons, from mid-December stretching all the way to mid-May at its longest, skiing in spring is just as easy as it is in winter (Not to mention less crowding and bonus attractions)! Not only that, but Japan offers a whole Culture to discover and explore for a truly unforgettable experience. With World-class Services and Convenient Accessibility throughout, things will be as smooth as ice. 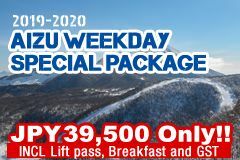 While Japan often gets a bad rap as an expensive destination, it can be surprisingly Inexpensive, with lift tickets averaging around only 4500JPY (more than half the price of many of the world's famous ski resorts! ), and food and merchandise particularly cheap out in the countryside where the resorts. But don't let us tell you; experience for yourself! Explore Japan - Attractions, Events and Food Information! We're here to help in your quest to venture into some of the best powder and slopes Japan has to offer. With the most ski resorts of any country at around 600, we know choosing a destination in Japan can be overwhelming and stressful. 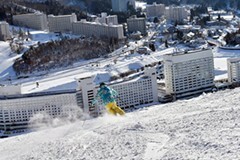 recommendations and the latest news on some of the best ski resorts in Japan for a truly one in a lifetime experience. Our professional Japanese staff are friendly and knowledgeable, with all our information based on our own experiences at each of the resorts and what we think will make your stay the most enjoyable that it can be. We also pride ourselves in the wonderful connections we have made with the amazing people at the resorts and offer you accurate and reliable information and deals offered nowhere else. We strive to keep you informed and up to date every step of the way. Your satisfaction is our priority and we work to make your trip and stay as smooth and hiccup-free as possible from the get-go, with the little touches like airport meet-and-greets and transfers. Options are abundant so don't be afraid to ask; we cater for you! But it doesn't stop there! We provide you with information on attractions, activities and all things Japan. Whether it be the best shopping, seasonal foods, cultural events or simple tips and tricks, we go the extra mile to make you feel at ease on your holiday. Headed by founder Hiro, Global Net New Zealand has been providing tourism services for Japanese and other Asian tourists since 2002. We are a private company with a network of contacts throughout New Zealand, focussed on catering for the inbound tourist market. 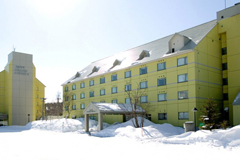 As a result of our ability to quickly communicate with Japanese Travel Agents via modern technology, we have grown to such an extent that, in 2006, we successfully handled approximately 10% of the inbound Japanese Ski Market into New Zealand. Global Net NZ is able to offer cost effective solutions for Agents and their customers, while also providing comprehensive and detailed information to meet your needs and make sure you have a hassle free holiday. Regardless of whether you are looking for a tour package or not, we provide specific services to meet the individual needs of all our customers. 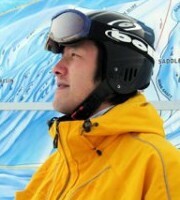 With Hiro, a former professional skier and expert at the helm, we, Global Net NZ, provide you with the best ski secrets and opportunities, Japan has to offer. c2018 Powder Ski Japan all rights reserved.